Everywhere we look, unicorns are all the rage! They are on backpacks, lunchboxes, t-shirts, water bottles and necklaces. 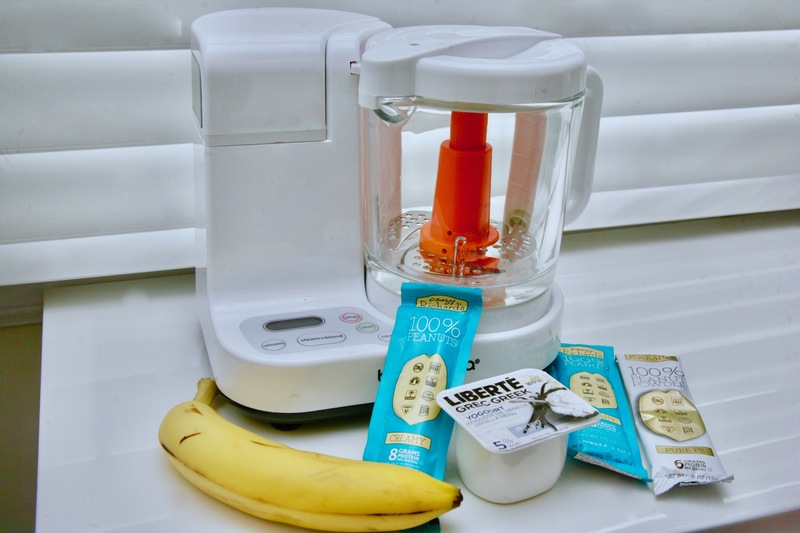 Our kids love them, but let’s be honest…so do we! How can you look at a colourful unicorn and not smile? Is it even possible? 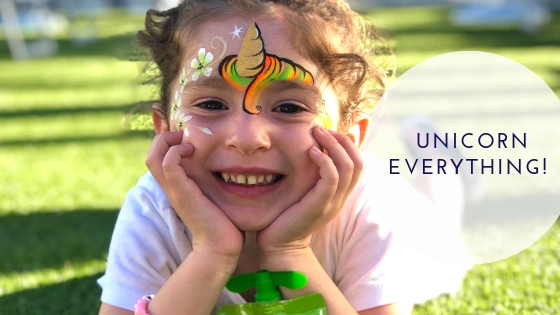 Well, in celebration of Unicorn Day, we have pulled together some of our favorite unicorn items for your kids. 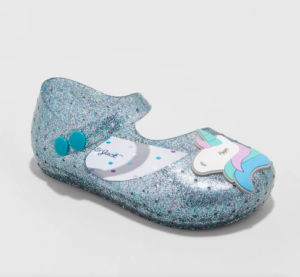 These Unicorn TY slippers are the cutest. They are a great price, and easy for the kids to slip on as the weather warms up. For us as kids, we were obsessed with the TY Beanie Boos, but now their line extends way beyond stuffed animals! 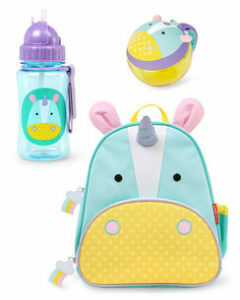 Check out their cute unicorn backpack below as well! 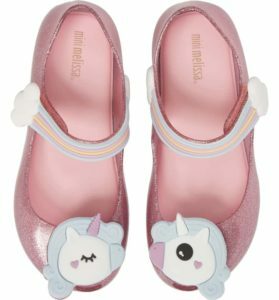 Mini Melissa’s are also on the unicorn band wagon. 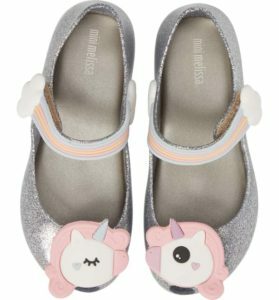 In our house, Mini Melissa’s are the go to party shoe, so a Mini Melissa Unicorn shoe is an obvious choice for our little girls. These are also a great Mini Melissa type alternative! 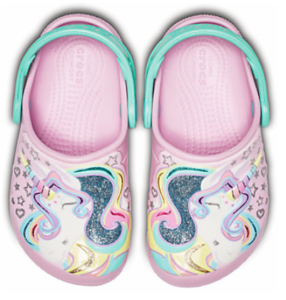 While we don’t let the kids go to school and camp in these stunning shoes, the Crocs are a great alternative, perfect for everyday wear and amazing for water play! They just happen to be our favorite Crocs on the market right now! Eureka Unicorn has been used on repeat in our house! The lunch box, the backpack and even the water water bottle are very well loved. With all the Unicorn loot hanging around, the kids need somewhere to put it all! 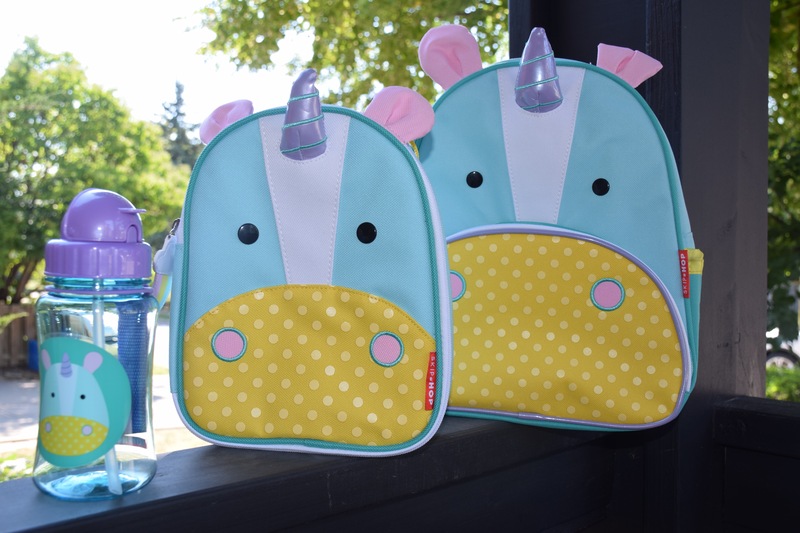 But why stop there…when packing Eureka Unicorn, use the Itzy Ritzy Unicorn Dreams reusable snack bag! 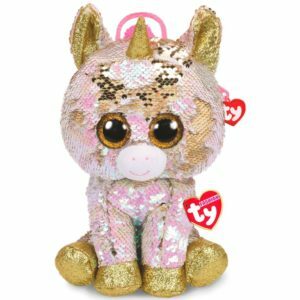 This backpack is the unicorn lovers dream…sequins and unicorns unite! We have been seeing these backpacks everywhere we look and while they don’t hold much, they are as cute as anything! 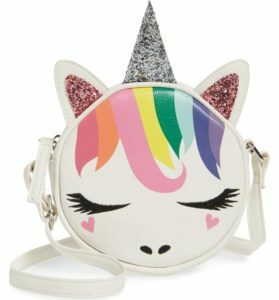 If your kids are bask the backpack stage and want something a little more “grown up”, go for this adorable unicorn purse! We may have just started spring, but we can feel the summer heat coming for us! We have already started making summer plans for camp and weekends out of the city, so of course we have started thinking about everything that comes with summer. 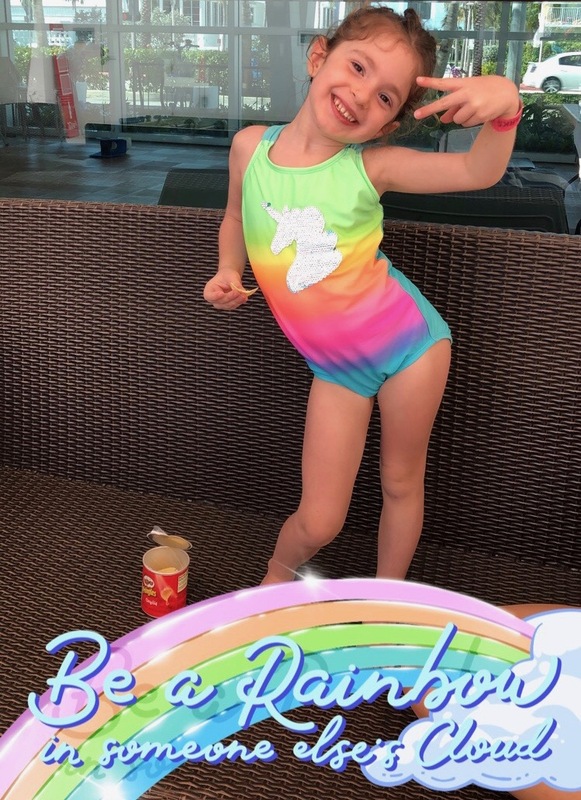 We see many pool days in our future, and what is a party with a unicorn bathing suit…and of course it has sequins as well! While your cooling off from the heat, lounge on a unicorn pool floatie. Get out of the pool and dry off with a unicorn hooded towel. You will be the hostess with the mostess when you pass out unicorn towels at your next pool party…can you say photo opp?! There is nothing worse than a lost unicorn! Thanks to Mabels Labels, we will be labelling all of our unicorn goodies with their unicorn labels. 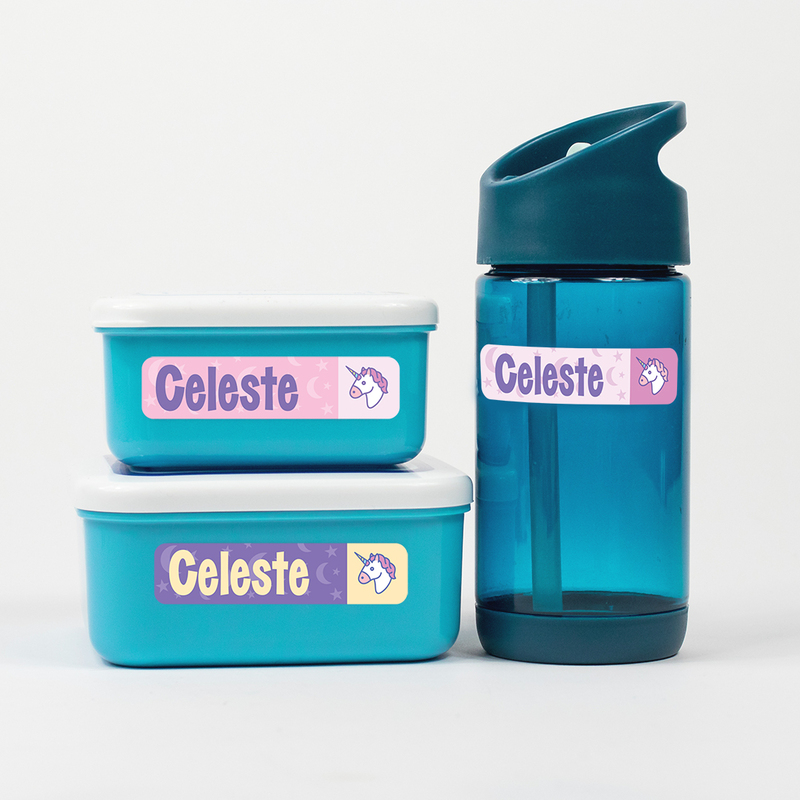 Mabels Labels has TWO unicorn designs to choose from! Label their shoes, their backpacks, their books and more! Are you really besties if you don’t have Unicorn OMG besties Necklaces? Time to get shopping! The Unicorn list goes on and on! From unicorn straws and plates, to unicorn flippy pillows, unicorn everything is all the rage. Last but most definitely not least, this unicorn tent is next level! 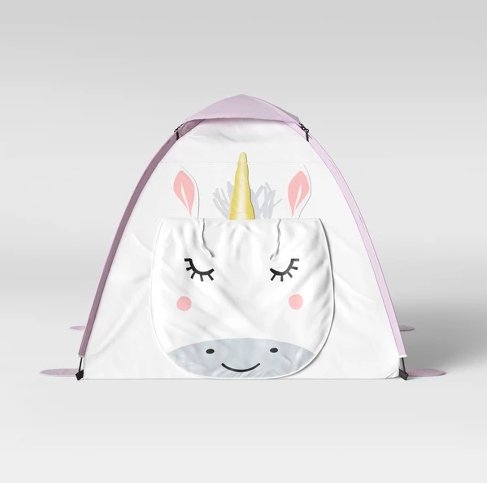 Win parent of the year with this cute tent for imaginative play…after all, unicorns are the most magical imaginative animal around! Happy Unicorn Day! What’s your favorite unicorn item?